Inner Path Productions was created to share the universal teachings of yoga and meditation to a wide and diverse audience. We expect to do this through books, music, video, web radio, web television and public events. Our first publication, Sadhana In Our Daily Lives, written by our founder, John Ernst, was printed in 1981. It was the first project of Inner Path, known then as Valley Light Center/Valley Lights Publications, and is still available today. More recently has been the publication of Living Radiance, a project of the Kriya Yoga Fellowship. This interesting compilation offers the writings of Paramhansa Yogananda on the subject of nutrition. Also recently developed is Kirtan Radio, an on-line radio station featuring kirtan music from a wide variety of musicians. These include well-known artists such as Krishna Das and Deva Premal, but also some who may be less familiar to you, including Swami Nirvanananda, Simrit Kaur and Ananda Kirtan. The web radio station is on-line and ready for your listening pleasure. Click on the Kirtan Radio hyperlink and enjoy! 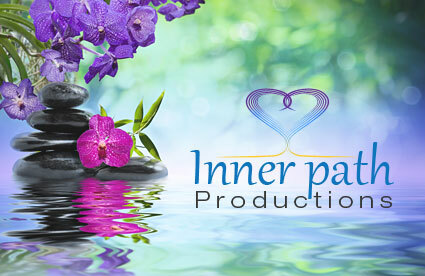 Lastly, Inner Path has also produced some unique meditation products. These include Aum Boards, Aum Board Elbow Pads and Raw Silk Meditation Seat Covers suitable for both floor and chair seating.